Killer Nashville offers manuscript critiques to its registered attendees for the low additional charge of $45 per critique. A manuscript critique offers a specialized one-on-one meeting with a professional writer or literary agent who will read a section of your manuscript and then offer you a face-to-face analysis of what works and what does not in your submission. It is a unique opportunity and one of the features that makes The Killer Nashville Writers’ Conference such an indispensable tool for writers. If you want to see how your work appeals to the professionals, choose an agent or editor. If you prefer a more detailed craft analysis, you may prefer to choose an author for your critique. 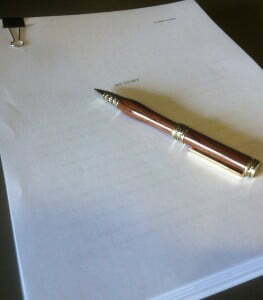 Fiction Critique: A published author or agent will read and critique the first ten pages (or to the end of the chapter) of your novel. All manuscripts should be double-spaced, 12-point Times New Roman or other “reasonable” font. Non-Fiction Critique: An publisher or agent will read and critique the first ten pages (or to the end of the chapter) of your non-fiction book or article. Your manuscript should be double-spaced, 12-point Times New Roman or other “reasonable” font. Short Story Critique: A published author or agent will read and critique your short story. All manuscripts should be double-spaced, 12-point Times New Roman or other “reasonable” font. Query Critique: An agent, published author, or the leader of a query-writing workshop will read and critique your query letter. The query letter should be no more than one page long, in standard query format and in 12-point Times New Roman or other “reasonable font.”. Screenplay Critique: An author and independent filmmaker will read and critique the first 15 pages of your screenplay. All submissions should be in standard screenplay format. Marketing Plan Critique: A professional publicist will read and critique your marketing plan (up to four pages), offering advice on how to make your plan more effective and how to get the most bang for your marketing buck. Anyone ordering a critique will be contacted in before the conference, typically via email, with guidelines and, when applicable, a choice of authors, agents, editors, or publishers available for the critique.